We have donated Osmo along with iPads to four elementary schools and have seen some great results. 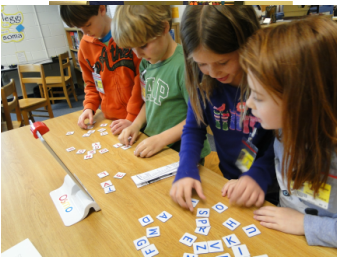 The schools are using Osmo to help with spelling words , coding and cognitive skills. This application is creating the next generation of creative thinkers. We donated 12 copies to 2 Glynn County schools to get their students ready for the future. In May 2017, 4 copies of OSMO and iPads were donated to the Glynn County Library for summer programs.